Whitby Town have signed former Northern Ireland Under-16 international Ryan Caulfield following his release from York City. The striker, who can also play in behind the front men, signed terms on Wednesday morning. Caulfield comes in as cover to Chris Hardy’s squad, following the suspensions of Matty Tymon and Steven Snaith, but insists that he’ll be vying for a first-team place from the outset. 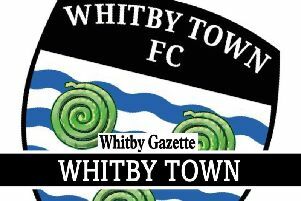 “Firstly, I want to nail down a position in the side,” he told the Whitby Gazette. “I want to show everyone what I can do, and hopefully bring goals with that. “It’s going to be tough to get in, but if the boys are performing well, that’s going to make me up my game to make sure I’m given a chance to perform and hold down a spot. “There is pressure, however I think it’s pressure that can be dealt with.